Looking for some of the best theatre in Ontario? You’re in the right place at the right time. Community theatres in the province are assigned to four regions: east, west, central, and north. And all the curtains are going up. Right now! Here’s what’s happening across Ontario, leading up to the Theatre Ontario Festival in May. March 14-18. Theatre Woodstock hosts the Western Ontario Drama League (WODL) Festival. Five shows from across the region are selected by a preliminary adjudicator to perform at the week-long festival over March break. Here’s an article from the Woodstock Sentinel Review with all the details. WODL Festival 2016, live on stage during March Break. March 15-20. Hey, it’s a school holiday. You can hit the road northward to Sudbury for more great shows. The QUONTA Drama Festival 2016 will be hosted by Theatre Cambrian. 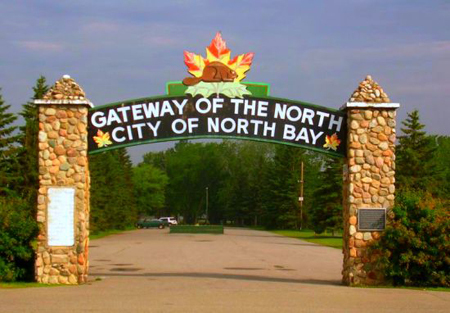 Five days of live theatre from across Northern Ontario. Get all the details in this Sudbury Star article. See what’s happening on stages in the north. April 5-10. 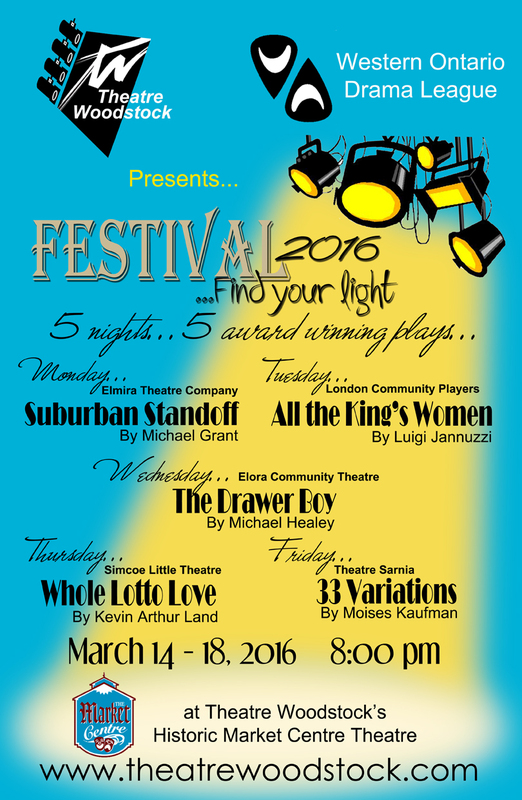 Peterborough Theatre Guild hosts the Eastern Ontario Drama League (EODL) Festival. Five shows are showcased, Tuesday to Saturday, with an awards brunch on Sunday. October 16 to April 2. This year, 48 shows are being adjudicated in the Association of Community Theatres Central Ontario (ACT-CO) Festival. The Awards Gala on April 9 is expected to draw more than 500 community theatre artists from in and around the Greater Toronto Area. Awards are handed out in three categories: drama, comedy, and musical. ACT-CO is the busiest region in the province with a festival that spans several months. May 18-22. The winning shows from each regional festival are invited to perform at Theatre Ontario Festival 2016, held this year in North Bay. Theatre Ontario Festival 2016 is happening here on the May long weekend. Theatre Ontario will co-host this year’s festival with QUONTA and Gateway Theatre Guild. Community theatre brings together show folks from all corners of Ontario. Who will win best in show?